Update: 11/09/12: I will be back on line soon. I am occupied with some personal issues and having difficulty seeing. In the meantime, please answer the poll. Thanks. I get a lot of readers who get to this blog site by search engines and the questions they ask are really good. Sometime the questions give me good ideas for things to write about. But, I’d like to make sure the people searching for answers are finding them. if a dialysis patient doesnt have enough fluid removed what are the consequenses? These are really important questions and concerns and I’d like to know if these and any other questions are being answered. 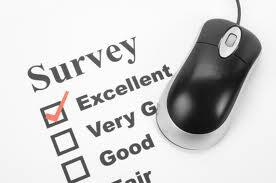 Please answer the survey to let know. Even if your question, concern, issue, etc was not in the above list, I’d like to know if you’re getting what you seek by coming to this blog. Thank you! This entry was posted in CKD, dialysis, ESRD, Obamacare and tagged CKD, dialysis, ESRD, hemodialysis, kidney, patients, treatment. Bookmark the permalink. Hi Devon–your blog is coming through in Spanish so please change that for my address so it doesn’t end up in Spam! I think I found your blog by chance; have in-laws in Texas, had a child in Texas and was curious I guess about the Texas part of your name! Can’t remember where I saw it, but probably in someone else’s blog that referred to ones that they read. Let’s hope besides tax reform and conversation we will see health care just get going and leave the talk behind.